Jenny attended the University of South Carolina for both undergraduate and law school. Upon graduation from law school, Jenny completed a one-year circuit court judicial clerkship in Greenville with the Honorable John C. Few, current South Carolina Supreme Court Justice. Jenny also assisted Justice Few in teaching the rules of evidence and their many intricacies to law students. After her clerkship, Jenny served as an assistant solicitor in the 13th Circuit Solicitor’s Office for several years, in both the Pickens County and Greenville County offices. During this time, Jenny prosecuted hundreds of criminal cases and tried numerous trials involving driving under the influence (DUI), drug law violations, domestic violence, assault and battery, traffic offenses, theft, burglary, armed robbery, child abuse, child sexual abuse and murder. Jenny frequently worked closely and in cooperation with the Department of Social Services (DSS) on child abuse cases. Many of Jenny’s trials included expert witnesses, complex legal issues, multiple defendants and multiple victims. In 2013, Jenny founded her own law firm, practicing primarily in the areas of criminal defense, family law, personal injury, DSS cases and Guardian ad Litem appointments. Jenny also represented victims of crime, acting as their liaison with the criminal justice system through the investigation and prosecution of the suspects. Jenny also has experience as a municipal attorney and judge. In 2013, Jenny became the City Attorney for the City of Liberty and continued as such until 2016, when she became the Liberty Summary Court Judge, where she currently presides. Jenny is also a member of Haynsworth-Perry Chapter of the American Inns of Court. 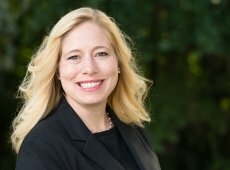 Jenny joined Clawson and Staubes, LLC in 2016, where she takes pride in dedicating her extensive courtroom experience and strong work ethic to advocating for the rights of our clients. Jenny will handle your case with the integrity, diligence and ability it deserves. When Jenny is not working on her clients’ cases, she enjoys exercising, gardening, and spending time with her family.